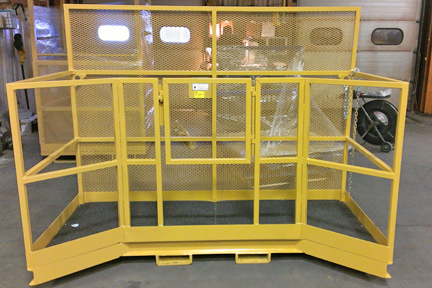 Our Construction Man Baskets are designed to lift personnel in the air with a telehandler. 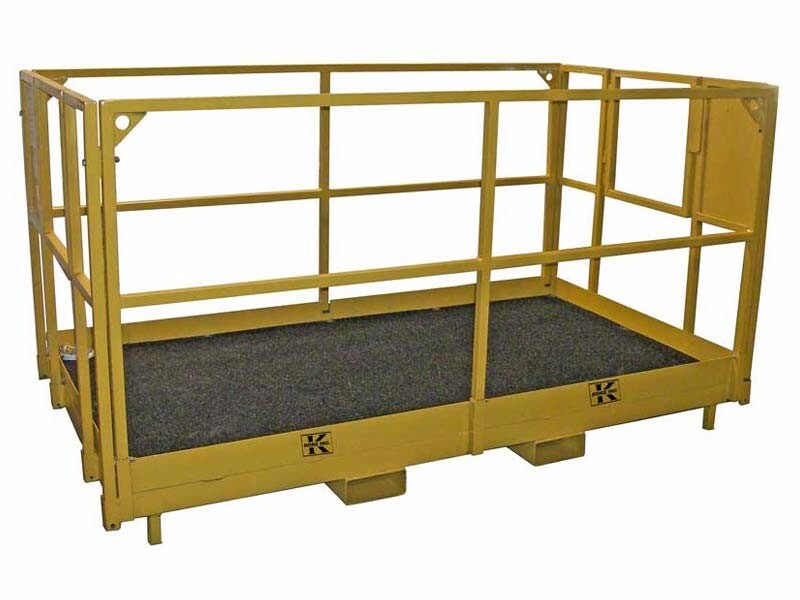 Built to meet OSHA and ANSI Standards regarding construction work platforms, the construction man basket features a replaceable traction grit plywood floor, 42” high tubular sides, 2 side latching doors, 4” high kick plate and provisions for a safety harness hook-up. 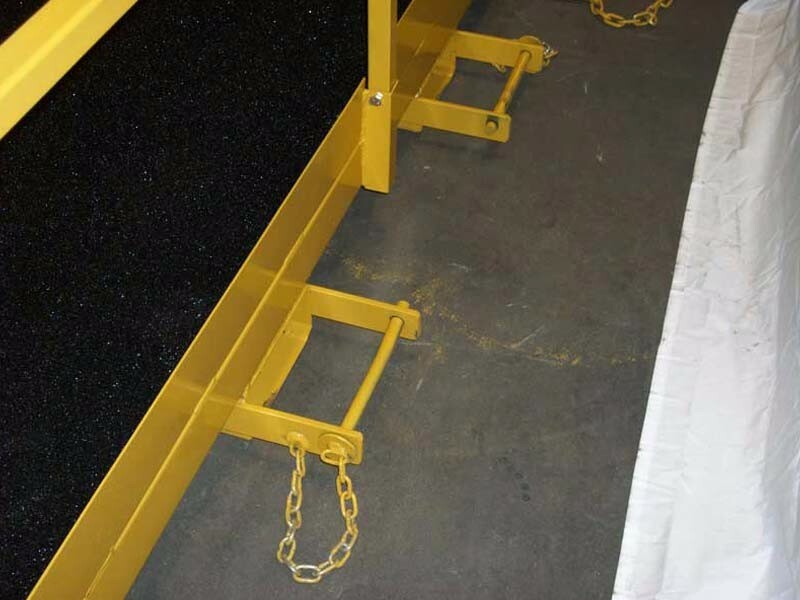 Full-length fork pockets provide added safety and strength to the construction man basket. 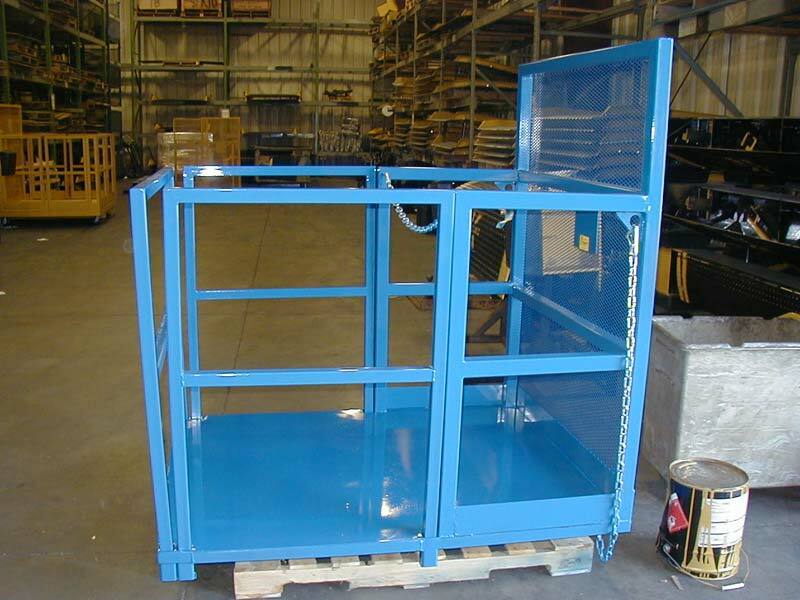 Pin locks secure the man basket to the telehandler. 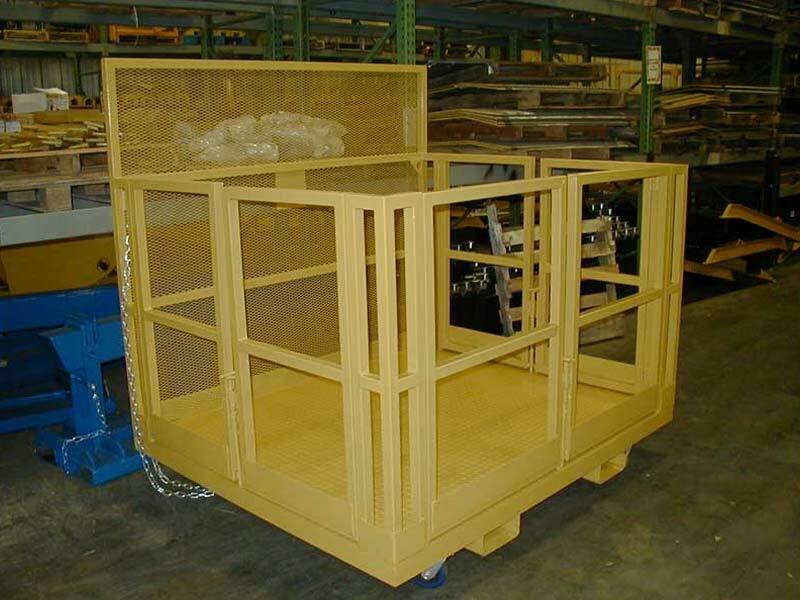 Each construction man basket ships in a collapsed state to save significantly in shipping costs. 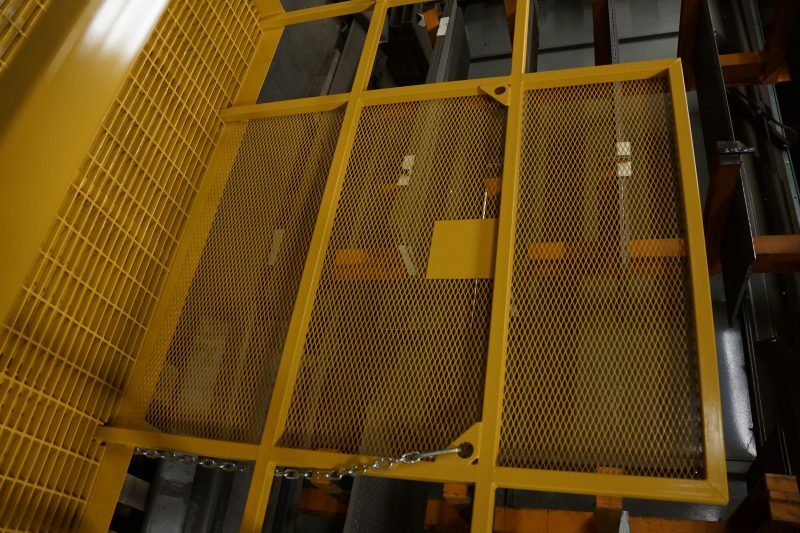 12 bolts and 15 minutes later, it is ready to use. 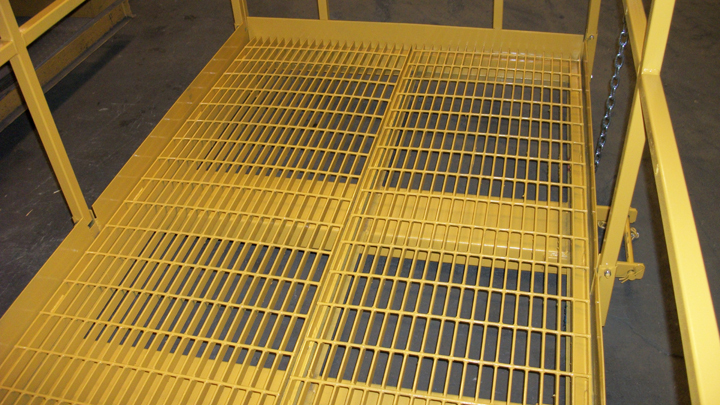 All safety baskets are painted yellow for high visibility. 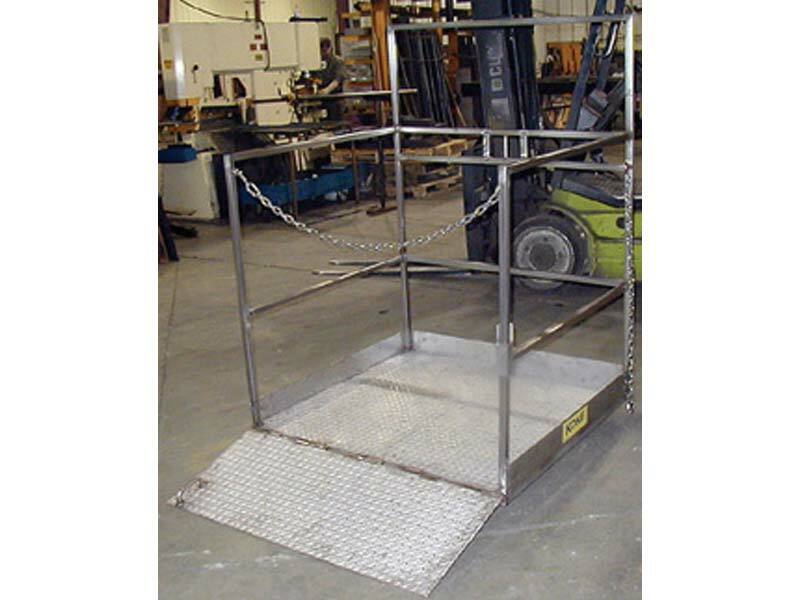 Confused About Safety Basket Regulations? 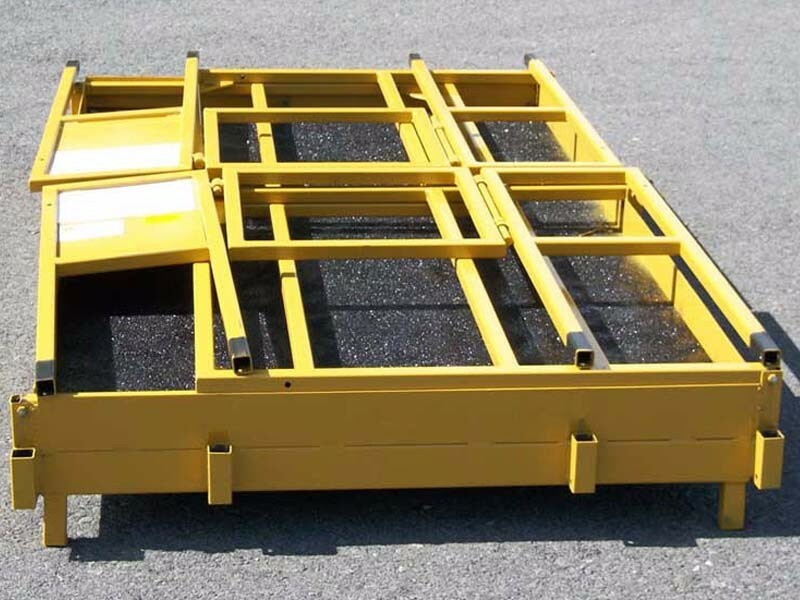 Both OSHA and ANSI have regulations regarding Forklift Work Platforms. 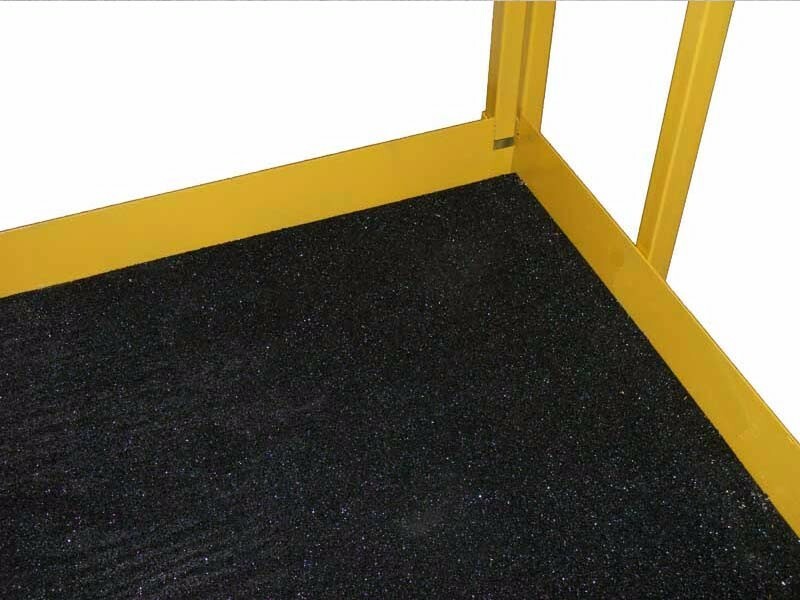 See current regulations regarding these products. Regardless of what safety basket you choose, a proper safety harness with lanyard is required.